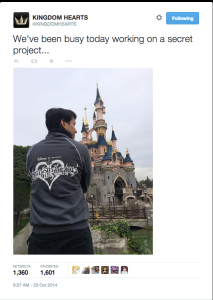 On the official Kingdom Hearts Twitter page, the development team (most likely the ones who worked on Kingdom Hearts HD 2.5 ReMIX) took a trip to Disneyland Paris. 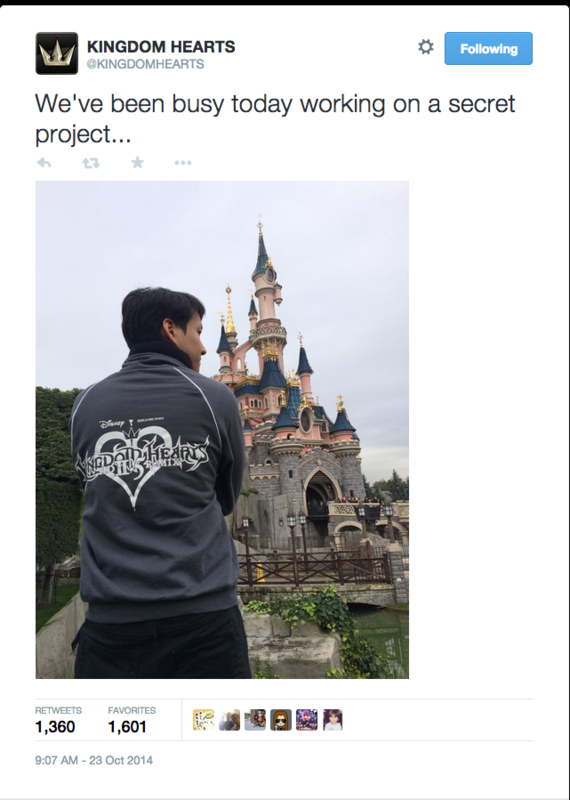 In the image, we see a member of the team wearing a 2.5 ReMIX jacket in front of Le Château de la Belle au Bois Dormant (The Castle of the Sleeping Beauty) in the background. During trips like these, Walt Disney animation studies the architectural design and environments of structures to help bring Disney worlds to life as seen in many Disney classics. Disneyland’s Fantasyland helped inspire the world of Corona in Disney’s Tangled and Epcot’s Norway Arendelle in Disney’s Frozen. Could Square-Enix and Disney Interactive be working on an animated CGI motion picture on Kingdom Hearts Birth by Sleep: Volume Two? Or is this a trip to help the game designers create a revamped Enchanted Dominion in Kingdom Hearts 3 with the Unreal Engine 4? Stay charged with us at KH Recharged for more on special Kingdom Hearts news – bringing you closer to the future of the Kingdom Hearts series!